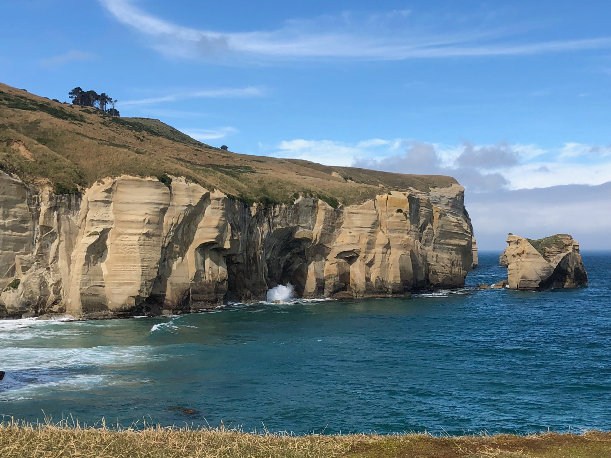 Undoubtedly the best thing about a family holiday to New Zealand is the stunning scenery you will get to see. 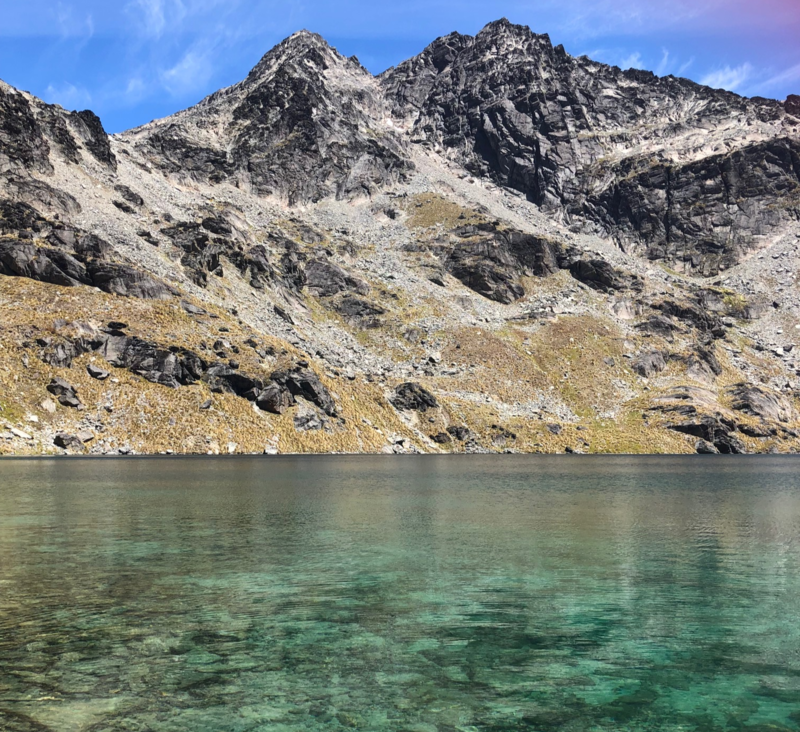 From the snow capped mountains to the most pristine blue lakes and rivers, there is so much to love about getting back to nature in New Zealand. 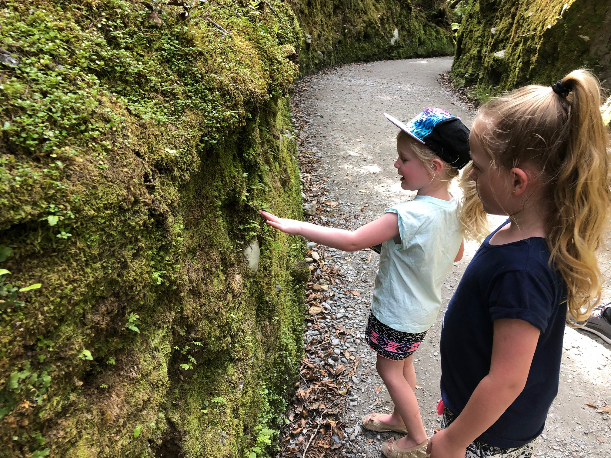 Here are some of our nature walk highlights that we can’t recommend enough if you take the tribe on a trip to New Zealand’s south island. This was probably the most difficult hike we did but one of the most rewarding. If you come prepared you won’t be disappointed. 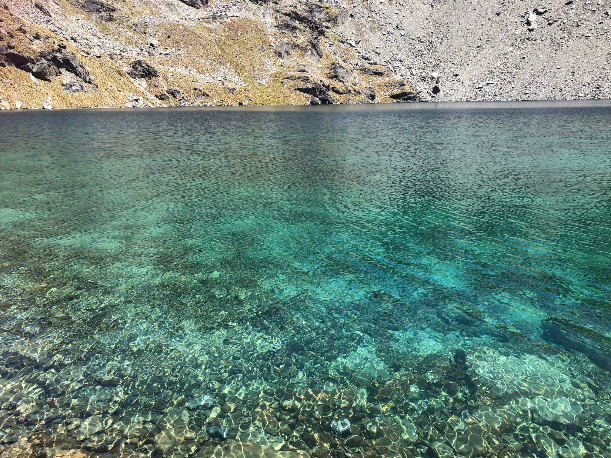 Lake Alta is a glacial lake found high up in one of Queenstown’s tallest mountains – The Remarkables. 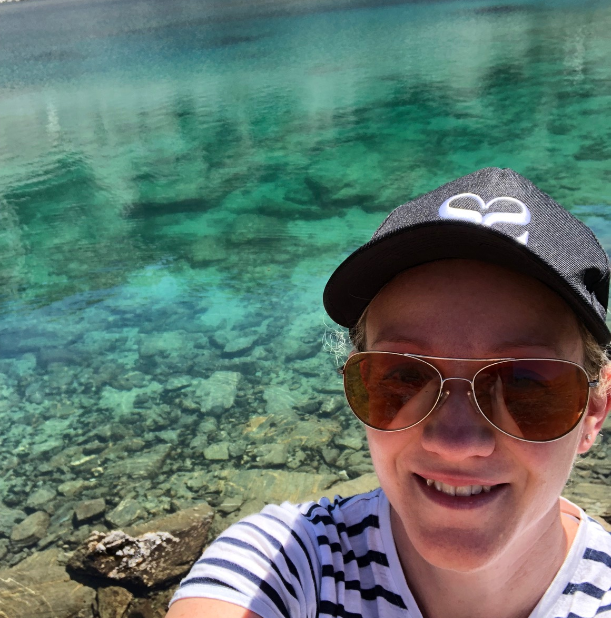 The lake itself is a gorgeous clear blue and in the peak of summer – it’s pretty cold to take a dip in. We also filled our water bottles with water from Lake Alta and enjoyed the fresh cold water after our hike up. Lake Alta is at 1800m elevation and in winter, it freezes over. Our hands were sweating driving up The Remarkables to start our hike. The hike took about 45 minutes with kids but we broke it into three parts to motivate them. The first part is a steep gravel road and probably the least rewarding part of the entire walk. Once we reached the top we came into a grassy track with small bridges and rocks everywhere. The final leg of the climb was climbing up a winding path in the mountain until we finally saw the heavenly Lake Alta. This is a difficult walk so only attempt it if everyone is physically fit. Prepare for the walk to keep the kids motivated. Pack snacks, water bottles, hats and sunscreen. Be prepared to offer piggy backs too. This walk is a case of what goes down must come back up. Walking down to Tunnel Beach was actually quite easy as the entire walk is downhill. The walk back was a bit of a punish though and we were thankful for Pringles which the kids got one at the top of every hill they climbed. The return trip was 60 minutes but it’s more like 15 minutes to get down to the cliff tops and 45 minutes to return back to the carpark. It’s only a 2km walk but prepare yourself to walk up some of it backwards for some leg relief. 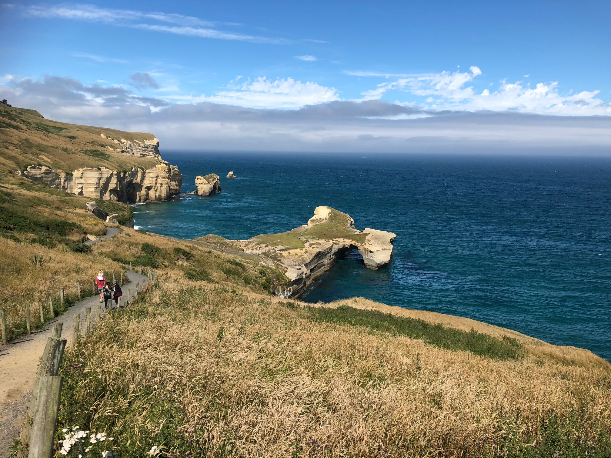 When we reached the cliff tops we made the kids sit on their bottoms so there was no chance of getting too close to any edges but there is a high point worth climbing up and checking out as well as a staircase in a tunnel that leads down to a rocky beach at the bottom of the cliffs. 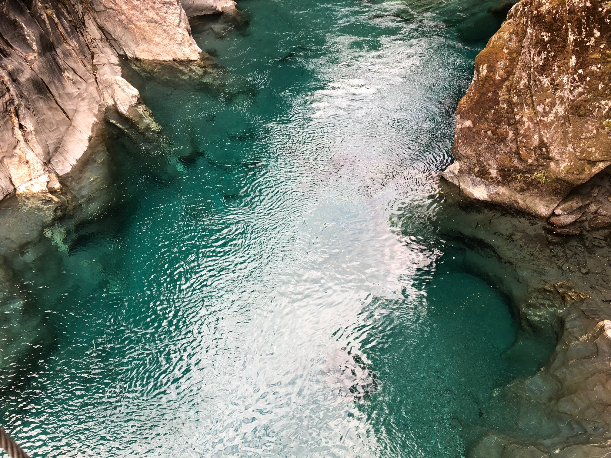 This is a great little spot to visit for a picnic and a swim and thankfully it doesn’t involve any hiking, just a short leisurely stroll from the carpark to the Wanaka Tree. So this one is suitable for tribes with strollers or anyone sporting an injury who can’t manage more strenuous walks. 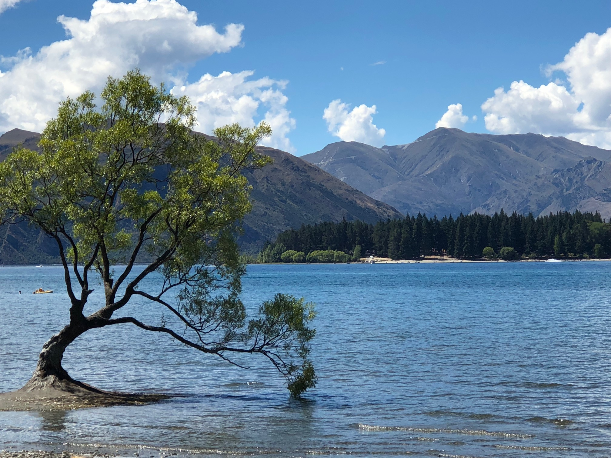 This lonely little willow tree sits in the shallow waters at Lake Wanaka and only became somewhat of an icon a few years ago. It is New Zealand’s most photographed tree. The story behind it is photographers started taking beautiful shots of the tree and pumping them through social media. Eventually the tree went viral so Lake Wanaka Tourism put the tree on its official photo trail of the area. Today it’s pretty tricky to get a photo of this solitary little tree because there are so many tourists coming down to get a shot either of or with the tree. It took us a while to get our shot but it was also a great place for a swim so we were there for a while which helped. Blue Pools is another one of New Zealand’s excellent short walks. It’s a 1 hour return walk and about 1.5km in length. 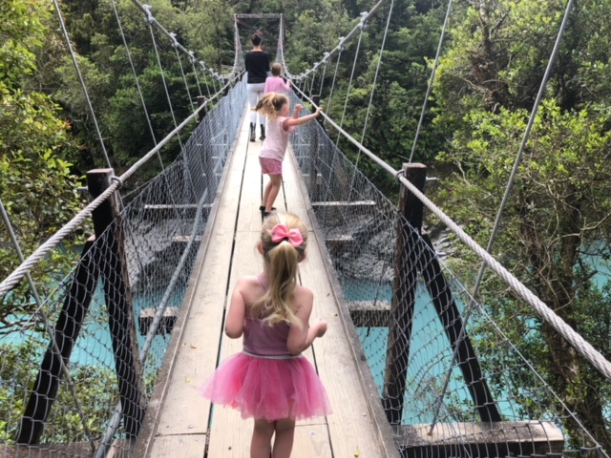 There is a swing bridge going over the top of the Makorora River and then you can stop and take photos of the Blue Pools from a smaller solid bridge or you can continue down to the lakes edge where you can brave a swim in the glacial pool. The walk itself takes you through a beech forest and it’s quite a popular walk because of the ease of it so you will see many tourists coming up and down the paths to enjoy the Blue Pools. This lovely little walk is perfect for families with strollers as it’s relatively flat and you can opt to walk the entire lake which takes up to 2 hours, or if you have a little tribe like we do, we opted to walk to the first jetty to take photos of the iconic lake with Mount Cook as a backdrop. That only takes 15 minutes each way and is a short 1km return trip. 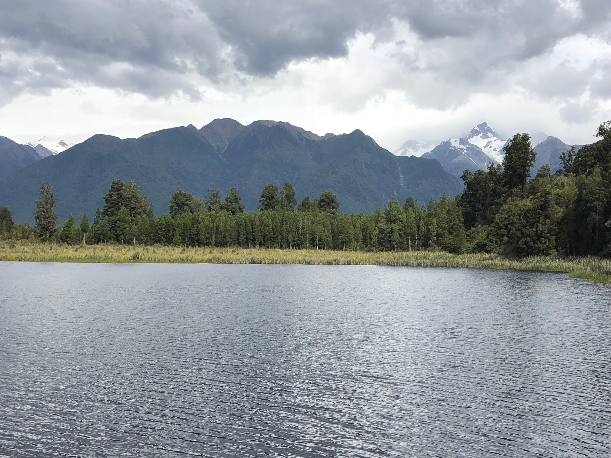 On a sunny day you should be able to get a gorgeous shot of Mount Cook reflected in Lake Matheson which makes it one of the most popular short nature walks you can do in New Zealand. There is a cafe and a gift shop at the beginning of the walk for ice creams or water bottle refills. 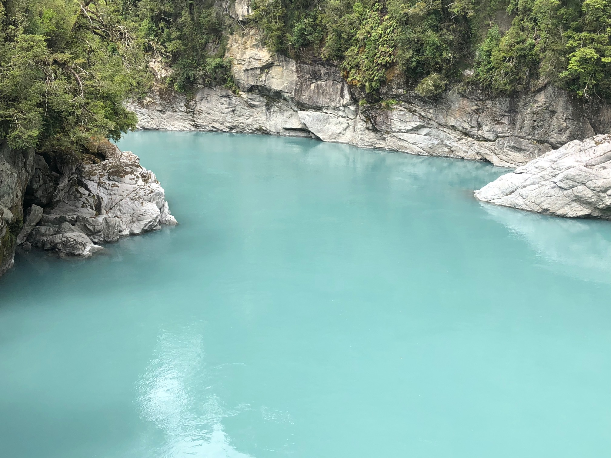 Hokitika Gorge is about 22km from the town centre in Hokitika but once you reach the Scenic Reserve it’s a great walk for the tribe to tackle together. You should spray with insect repellant before starting this walk as the sand flies did bite and bother us on the walk but there is a food van set up in the car park who offer free insect repellant if you don’t have any on you. 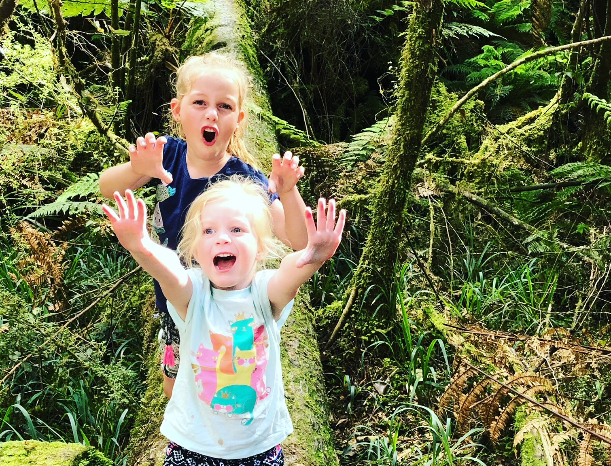 The first part of the walk takes you to a viewing platform where you can see the stunning blue green gorge, and this part of the track is wheelchair accessible and pram friendly. The next part of the track is a little more winding until it reaches a long swing bridge. The last part takes you to a final viewing platform, or if you want to take a quick swim or dip your feet in, you can climb down onto the rocks and get closer with the water but children should be carefully supervised down here. The whole walk is 650m one way making it an excellent walk to do with small kids. 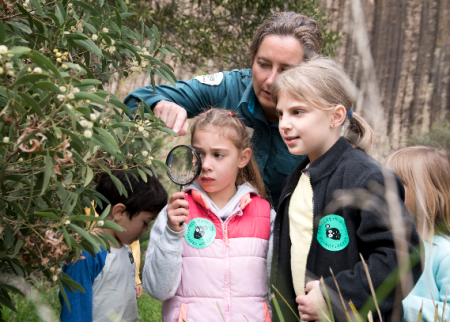 If you want to see footage of these stunning nature walks, subscribe to our YouTube channel here.